Johan Gottschalk Wallerius was a Swedish chemist and mineralogist. Johan Gottschalk Wallerius (11 July 1709 – 16 November 1785) was a Swedish chemist and mineralogist. Wallerius was born in Stora Mellösa, Närke, in 1709 as a son of provost Erik Nilsson Wallerius and his spouse Elisabeth Tranæa . He was a younger brother to the physicist, philosopher and theologian Nils Wallerius. Johan Gottschalk entered Uppsala University in 1725, and graduated as magister in 1731 after studies of mathematics, physics and medicine. He continued his studies at Lund University, where he received his Doctor of Medicine degree in 1735. He became adjunct of medicine at Uppsala University in 1741 and the first holder of a new professorship of chemistry, medicine and pharmacy in 1750. 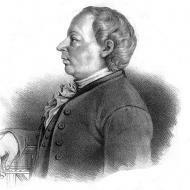 He retired from the chair in 1767 and was succeeded by his student Torbern Bergman. Wallerius is regarded as the founder of agricultural chemistry, mainly based on the significance of his widely disseminated work Agriculturae fundamenta chemica (1761, published in Swedish the same year as Åkerbrukets chemiska grunder and later translated into many other languages). He published several other studies on chemical, mineralogical and geological subjects and used his own farm Hagelstena in Alsike (south of Uppsala) as an experimental field. In 1750, Wallerius was elected member of the Royal Swedish Academy of Sciences. The first freestanding chemical laboratory building in Uppsala, still standing at Västra Ågatan 24 by the River Fyris, was erected during his time as professor.